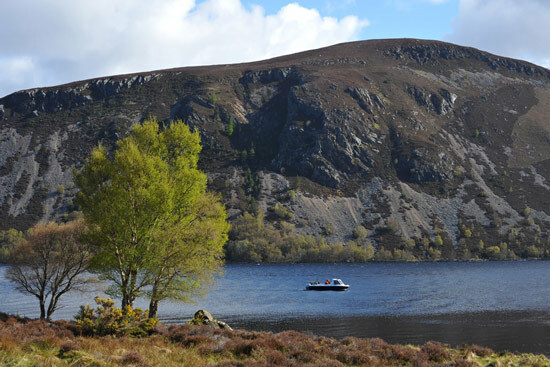 Loch Morie lies at an altitude of 193 metres, is 2¼ miles (3.6 km) in length, has a surface area of approximately 234 hectares and reaches a depth of over 80 metres. 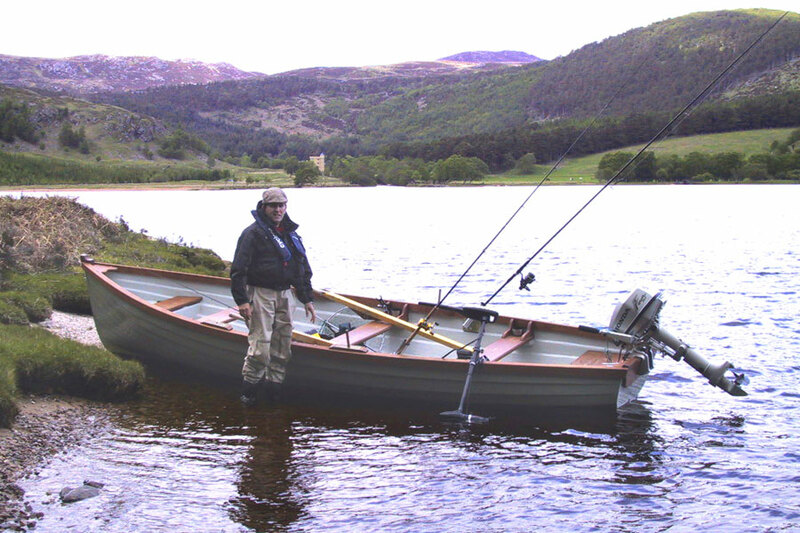 This is a dramatic venue to fish. 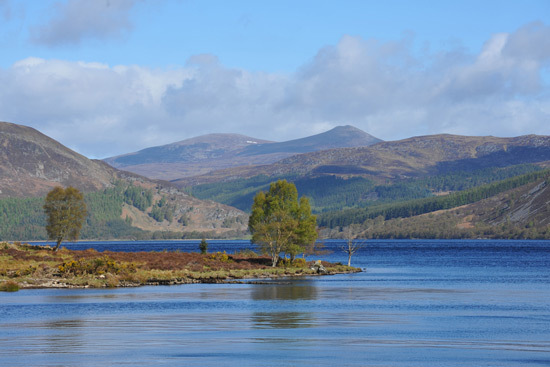 Morie is a big, deep loch that takes a while to warm up, so the best trout fishing is in mid-summer, though there can be good rises to buzzer hatches in the shallow bays at either end of the loch on warm spring and early summer evenings. 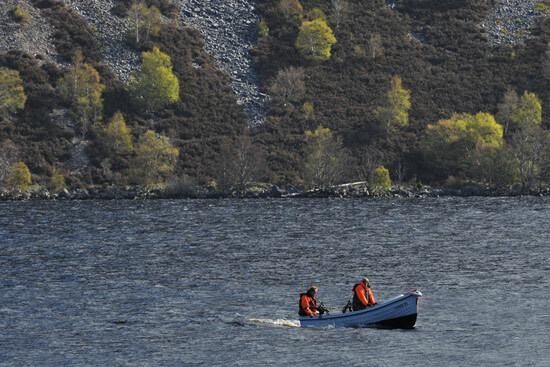 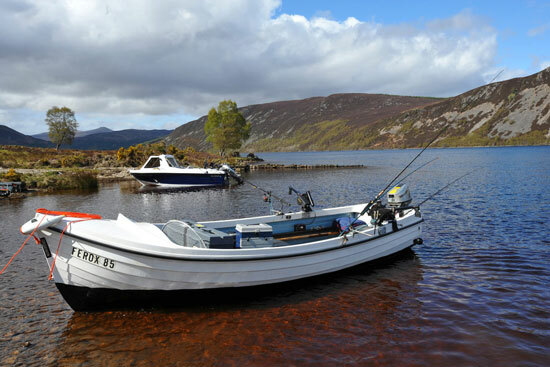 We have bank fishing available to us at the South and South-East end of the loch and can also launch one of our boats with an outboard engine to fish the whole loch. 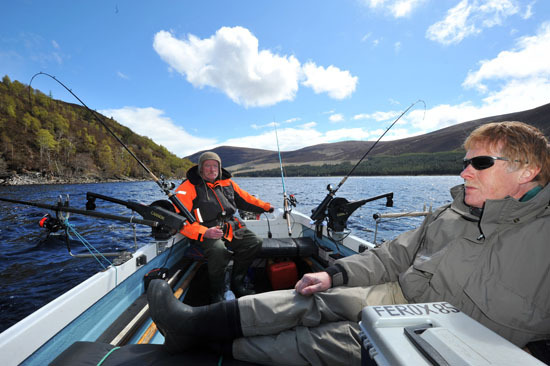 Top of the water ‘loch style’ fishing is the norm for the brown trout in summer and although most will be ½lb or so with a few over the 1lb mark, there are also some monsters. 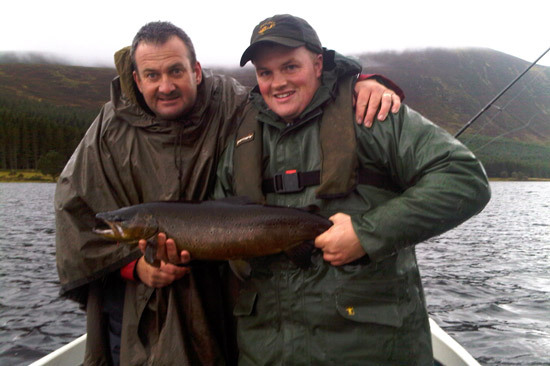 Some very large ferox trout have been caught over the years, generally by spinning or trolling; the best fish to our guests in recent years was caught in 2010 and estimated at 9lbs! 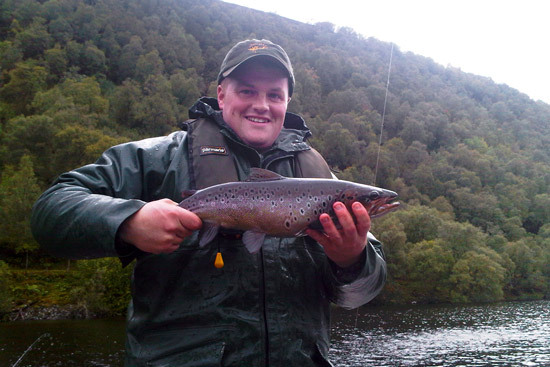 We have all the necessary tackle and equipment required should you want to try trolling for ferox trout. 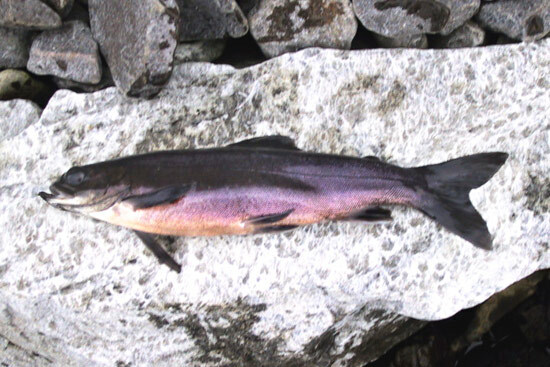 As well as brown trout, the loch also contains Arctic char (the main prey of the ferox trout), and salmon arrive in the loch in early-summer. 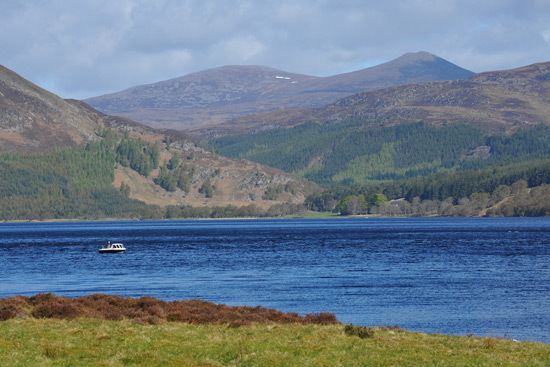 In late spring the salmon smolts pass through the loch on their seaward migration, and in late summer, the shoals of char come into the shallow bays to spawn (and can be caught on the fly) – in both cases you can be sure that the ferox won’t be far away! 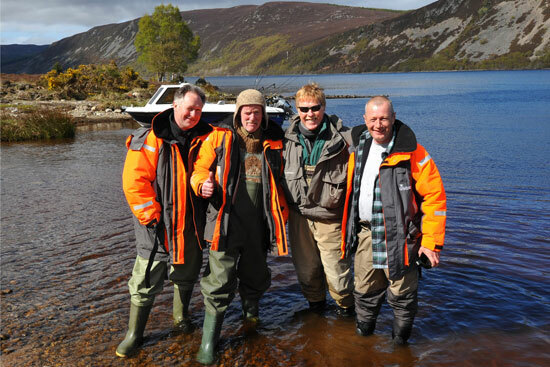 If you are a ferox fishing ‘pro’ and would like to give Loch Morie a go (rarely fished for ferox), please contact us. 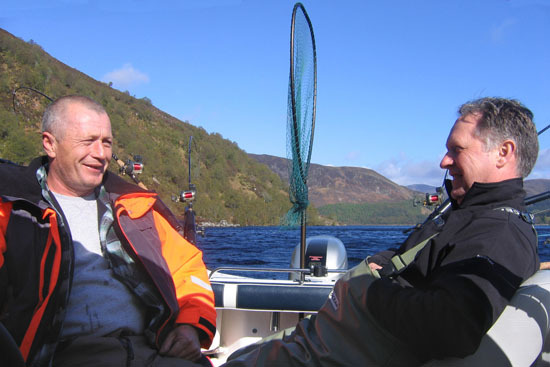 Pricing for boat hire including up to 2 permits is £35/day.